As of late I have been immersed in my research on the Buddhist appropriation and implementation of astrology, which requires knowledge of relevant 'Hindu' literature given that many Buddhists in India initially rejected astrology, especially from the early centuries of the Common Era when native Indian astrology based on the nakṣatra-s – which possibly originated in the Indus Valley Civilization – was being increasingly augmented with Hellenistic astrology and later mathematical astronomical science. Nevertheless, the Mahāyāna movement came to feel differently and in the Avataṃsaka-sūtra astrology is a subject a bodhisattva might master for the benefit of beings. Later from around the sixth century, astrologers held a prominent place in Indian society, so much that Varāhamihira could write, “As the night without a light, as the sky without the sun, so is a king without an astrologer, like a blind man he erreth on the road.” Buddhist Mantrayāna came to require observance of an astrological schedule (i.e., hemerology) for the purposes of timing the drawing of a maṇḍala. This blended both Indian and Hellenistic elements: the twelve zodiacal signs, twenty-eight (or twenty-seven) nakṣatra-s, the seven day week and so on. The Xiuyao jing 宿曜經 compiled by Amoghavajra 不空 (705–774) in 759 and revised in 764 was produced a few decades after the first introduction of true Mantrayāna into China under Śubhakarasiṃha 善無畏 (637–735) who was responsible for translating the Mahāvairocana-sūtra 大日經 in 724 and introducing the lineage accompanying its maṇḍala. Amoghavajra was fulfilling a need since the text and its commentary only briefly touch on which days are 'auspicious days'. The Xiuyao jing is an astrology manual which goes into fine detail in determining the most auspicious days, however it is actually not a Buddhist text. It is attributed to Mañjuśrī Bodhisattva, but the actual contents are largely non-Buddhist and some of the prescribed activities therein are antithetical to more conventional Buddhist ethics such as the manufacture of arms and alcohol. Nevertheless, the text was successfully implemented and then carried over to Japan in 806 by Kūkai 空海 (774–835), the founder of Shingon. There were however other earlier works on foreign astrology translated into Chinese, but these were ignored or dismissed by Chinese Buddhists. So far as I know, the work is not extant, but it again appears in the Tong zhi 通志 catalog compiled in 1161 by Zheng Qiao 鄭樵 (1104–1162), indicating it survived until at least that period. In the title, Jiejia 竭伽 is most certainly a transliteration of Garga or Gārgya, which Kawai and Kōzen identify.1 However, so far as I know, nobody has suggested that this could have been the Gārgīya-jyotiṣa (*Garga-saṃhitā), of which the Yuga-purāṇa is a component. 30 fascicles is quite long for a work in Chinese. To put that into perspective, the Dīrghāgama 長阿含經 in Chinese is 22 fascicles while the Mahāsāṃghika Vinaya 摩訶僧祇律 is 40 fascicles. According to Mitchiner's study, the extant Gārgīya-jyotiṣa has around 64 aṅga-s (divisions) and around 255 folios.2 The length between this and the Chinese text in question seems comparable. A Buddhist sūtra catalog from 597 lists an almost identical work (婆羅門天文) in 20 fascicles with a comment that it was produced between 566–572 by a śramaṇa from Magadha named Dharmaruci 達摩流支. However, another major catalog by monk Zhisheng 智昇 in 730 states with respect to the work, “Now it is not retained [in the catalog] because it is not a teaching of the Tripiṭaka.”3 Clearly it was not a Buddhist work and thus there was less interest in retaining it in a catalog of Buddhist literature. In the Sui period between 585 and 592 there was actually a state sponsored program to translate 'Brahmanical' or 'Sanskrit' classics 梵古書 and astronomical works 乾文, which finally amounted altogether to more than 200 fascicles. The titles are not provided, but nevertheless they certainly translated something related to Jyotiṣa (the Indian subject which encompasses mathematics, astrology and astronomy). This work is extant and it is mainly based on the Pañcasiddhāntikā, though the tabulated latitude value of 35 is for Chang'an, not India, hence it was modified to some degree for localization purposes. It is not a comprehensive siddhānta text, but rather a karaṇa text providing methods for calculation. It details siddhānta algorithms, a dot for zero, a table of sine functions and methods for eclipse prediction superior to those developed in China. A number of terms were adopted directly from Sanskrit into Chinese. However, the work's ultimate influence seems to have been limited, which might have been because Chinese astronomers did not fully understood the advanced mathematics of the text, especially in translation. There is still mention later on in the Buddhist literary record of 'Indian calendrical methods' which could possibly have this work among others in mind. Gautama Siddhārtha had a fourth son named Gautama Zhuan 瞿曇譔 (712–776). He had a colorful career and was even active during the great An Lushan Rebellion (755–763), which nearly ended the Tang dynasty. 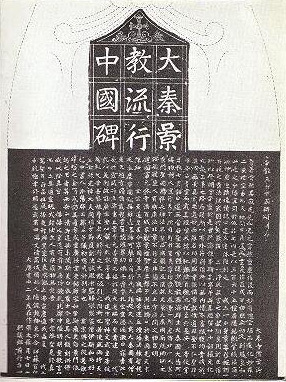 His letter to the court in which he connects the occurrence of a solar eclipse with the demise of the rebel commander Shi Siming 史思明 in Henan province is quoted in part in the Jiu Tang shu 舊唐書 (fasc. 36), the history of the Tang dynasty compiled in 945. Here he cites the Yisi zhan 乙巳占, a Chinese divination manual by Li Chunfeng 李淳風 (602–670), which indicates his familiarity with native Chinese sources. Thus although he had an Indian name, his family was essentially Sino-Indian. There were many such families in the Tang: families of Sogdian, Persian and Silla (Korean) descent which had lived in China proper for numerous generations. In 1977 the tomb of Gautama Zhuan was unearthed in Chang'an, which provides rich information on him and his family.5 The Gautamas were one of three families of Indian ancestry working for the Tang court as astronomers in the eighth century, the other two being the Kumāras 拘摩羅 and Kāśyapas 迦葉. After Gautama Zhuan died in 776, it seems the bureau of astronomy employed a Persian as their 'foreign' specialist. In 1980 in Xi'an his tombstone was discovered. The inscriptions on it detail the lives of a Persian Li Su 李素 (743–817) and his wife Bei Shi 卑失.6 It seems he was an East-Syrian or 'Nestorian' (Jingjiao 景教) Christian from the community of Persians resident in Guangzhou. Sometime between 766–779 he was summoned to the court to work in the bureau of astronomy. Later his 'courtesy name' 字 of Wen Zhen 文貞 alongside the corresponding name 'Luka' in Syriac appears on the list of Christian clergymen on the 'Nestorian Stele' (大秦景教流行中國碑) erected in Chang'an in 781.7 Thus it seems he was a bilingual and married Sino-Persian East-Syrian Christian clergyman proficient in foreign (Greek) astronomy and astrology working directly for the Chinese emperor in the capital, having replaced his Sino-Indian predecessor. This point really does highlight how cosmopolitan the Tang empire was. Buddhist Mantrayāna, however, fully adopted astrology for their own purposes – in particular hemerology or the art of selecting auspicious days – but this was arguably an appropriation of an existing art which had been long formulated over past centuries from Babylonian, Greek, Egyptian, Vedic and perhaps even Harappan elements (the 28 nakṣatra-s might ultimately originate in the Indus Valley Civilization). The ultimate influence of these astronomers and Buddhist astrology in East Asian civilization is another topic worth discussing in a future post. It is rather complicated because some elements were in fact retained but their original history forgotten. For instance, Daoists venerated the twelve zodiacal signs as deities without citing their origins. I have evidence that at least some Chan monks in the Song dynasty were practicing occidental astrology. Also a calendar (the Futian li 符天曆) based on Indian methods originally drawn up by Cao Shiwei 曹士蒍 between 780–783 was still studied under the Mongol Yuan dynasty (1279–1368). We'll take a look at these points in the future. 1 Kawai Kōzō 川合康三 and Kōzen Hiroshi 興膳宏, Zui sho keisekishi shōkō 隋書經籍志詳攷 (Tokyo: Kyuko shoin, 1995), 603–604. 2 John E. Mitchiner, The Yuga Purāṇa (Calcutta: The Asiatic Society, 1986), 105–112. 4 For an annotated translation into English see Yabuuchi, Kiyoshi 藪內清, Zōtei Zuitō rekihō shi no kenkyū 增訂隋唐曆法史の硏究 (Kyoto: Rinsen Shoten, 1989). 5 Chao Huashan 晁華山, “Tangdai tianwenxuejia Judan Zhuan mu de faxian” 唐代天文學家瞿曇譔墓的發現, Wenwu 文物 10 (1978): 49-53. 6 Chen Guoying 陳國英, “Xi'an Dongjiao Sanzuo Tang mu qingli ji” 西安東郊三座唐墓清理記, Kaogu yu wenwu 考古與文物 (1981-2): 25–31. 7 Rong Xinjiang 榮新江, “Yi ge shi Tangchao de Bosi Jingjiao jiazu” 一個仕唐朝的波斯景教家族, in Zhonggu Zhongguo yu wailai wenming 中古中國與外來文明 (Beijing: Sanlian shudian, 2001), 255–257. 8 Johannes Bronkhorst, Buddhism in the Shadow of Brahmanism Handbook of Oriental Studies (Leiden: Brill, 2011), 120. I'm interested to know if there is any sign of a Chinese translation of the Garga text. Right now this is how my entry for Garga in "Tibskrit" looks. It's news to me that a Chinese version was ever made, which is something! — Strickmann, CPP, p. 113. — Garga samhitā, by Sage Garga, rendered into English by Shantilal Nagar, B.R. Publishing Co. (Delhi 2003), in 1207 pages, 2 volumes. — Thub pa chen po drang srong gar gas ltas kyi rnam pa bstan pa zhes bya ba'i gtsug lag. Tôh. no. 4321. Dergé Tanjur, vol. NGO, folios 20v.1 49r.7. The other title given in Dergé is slightly shorter: Thub pa chen po drang srong gar gas ltas kyi rnam pa bstan pa. Cordier evidently reconstructed the title as Mahāmuni Gargarṣyakṣanimittākṛtinirdeśa. It is also to be found in the Tog Palace Manuscript Kanjur, no. 271 (where it is included in the sūtra section of the Kanjur!). On interpreting signs. Interesting example of a non Buddhist text, in some sense accepted as canonical. There would seem to be a 'final' colophon at folio 33v, following chapter 15. There are some lists of countries near the end. Chapters 23 and 24 (ending on folio 45v) are on earthquakes. — Colophon in Dergé, folio 33v: thub pa chen po drang srong skar ma'i ltas kyi gtsug lag rma bya'i ltas sna tshogs bstan pa zhes bya ba'i ltas ji snyed pa rdzogs so. The ending of the text in Dergé text: Ārya sha ru la karṇa'i nang nas gza' skar gyi ltas 'byung ba btus pa / ltas dang mtshan ma dge bar gyur cig // rdzogs so. — Three Canonical Texts on Divination from a Lahoul Village Library: Tibetan Renderings of the Śārdūlakarṇāvadāna, the Dvādaśalocanasūtra, and of Garzha [i.e. Garga] on Omens, Khasdub Gyatso Shashin (Delhi 1978). "Reproduced from a manuscript belonging to Don grub Sha shin of Pata nam O longs." — Rhoton, CD, p. 197. — Sylvain Lévi, "La Gréce et l'Inde d'aprés les documents indiens," contained in: MSL, p. 193. — Sde srid, Mchod sdong, p. 434, quoting from Bu ston, lists this among works that should not be included in the Kanjur (although they evidently had been included there at some time). Here the title is given as Drang srong gar gas ltas kyi rnam pa bstan pa'i gtsug lag. — Davidson, HRPA, p. 156. — Kenneth G. Zysk, The Indian System of Human Marks, Brill (Leiden forthcoming), in 2 volumes. Bodily marks divination, phrenology? There's no indication this text survived, even in fragments, after the Song dynasty. At least none that I'm aware of. The title itself is all that remains, and it appears to have been quite a lengthy work too. It isn't quoted anywhere in extant sources either so far as I can tell. It seems it was translated, added to the imperial library and forgotten about. As a non-Buddhist work it would not have been of much interest to the Buddhist community, especially before the rising interest in astrology in the late eighth century, but by then there were plenty of short accessible works on foreign astrology available. All I can say is that the title includes the name *Garga and it concerned astronomy/astrology, and it was non-Buddhist. I'm thinking it could have been the Gārgīya-jyotiṣa.